18 X 24 White Steel Return Air Filter Grill Discounts Apply ! 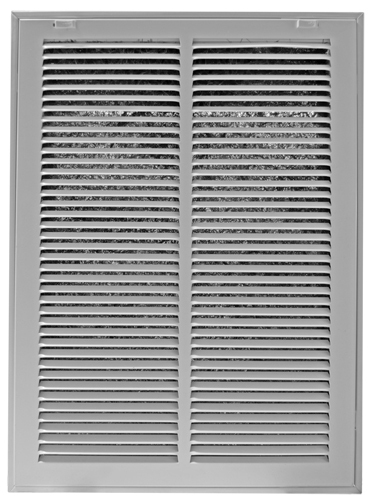 Purchase a white return air grille such as this item for easy hvac filtration in both residential and commercial settings. To help make hvac filtration a simple task, use this white return air grille with standard 1" thick filter. It easily installs into duct holes in walls or ceilings and features a hinged faceplate, allowing for fast filter replacement. This white return air grille helps with hvac filtration, as the filter removes unwated particles from the air. The white return air grille features sturdy, stamped steel constructed and is finished with a bright white finish with a lacquer sealed coating. Please note that a filter is not included. We also have permanent air filters to go with your return air filter grill.